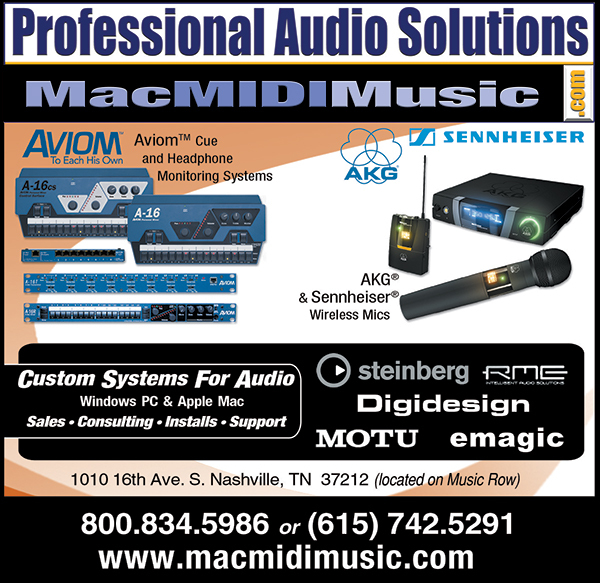 Mac Midi Music in Nashville was in the midst of changing its name to Pro Audio Solutions when the owner approached me about doing this advertisement. I had created several ads for MMM in the past, so we had a kind of “template” set up, as there was always a lot of information to fit into a small-ish space. This always made for a fun challenge. This particular ad was going into Creative Loafing Magazine, and had a very tight deadline.